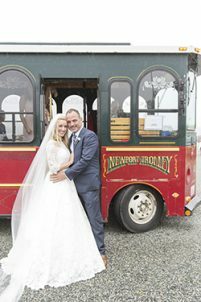 Savanna and Matthew wanted their wedding day to be welcoming and sacred to both of their families, and also to the third family they have found at their local church, United Baptist Church of Newport. 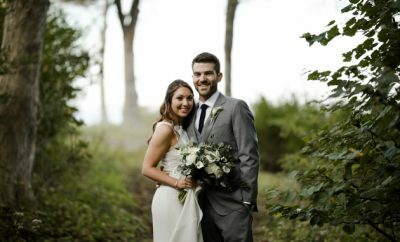 “We knew having our wedding ceremony there would be extremely special to us both, to our families and to our church family. 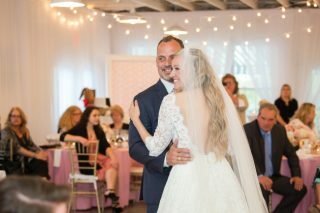 We also love that the church building is an old white, historic New England style church,” the bride says. 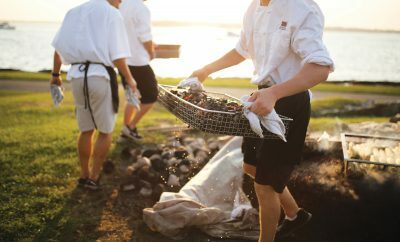 The pair also hosted their reception at Gooseberry Beach Club, because of its beauty as well as family sentimentality. 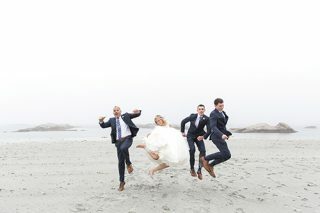 “Gooseberry Beach is a gorgeous bit of coastline, and we wanted our families to enjoy the picturesque location, to make new family memories together,” says the bride. The bridal cake was a three-tier classic white cake with frosting pearls at the base of each layer, and a French vanilla filling, the bride’s favorite. 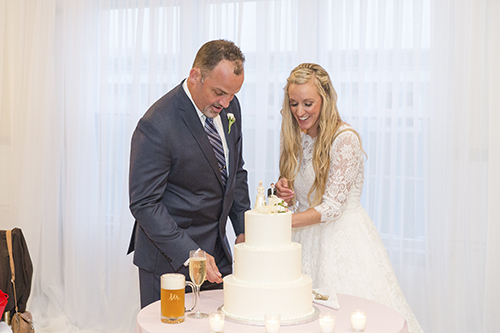 One of the most sentimental heirlooms featured in the wedding was the cake topper – a classic figurine of a bride and groom that was used at the wedding of Savanna’s paternal grandparents in 1953. 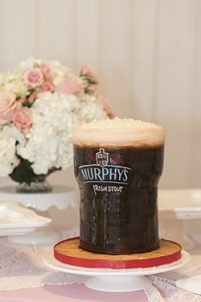 Matthew’s groom’s cake was a nod to his proud Irish heritage, and the Nutella-flavored cake shaped like a pint of Murphy’s Irish Stout was a big hit with all of the guests. 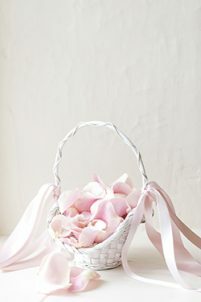 The couple chose a very traditional and unique color scheme that included white, gold and an array of pale pinks. 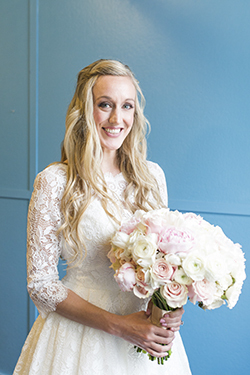 The florals and centerpieces were comprised of pink spray roses and peonies, white hydrangeas and ranunculus. Wreaths of peonies embellished the entrance doors of the church, which were Savanna and Matthew’s favorite decorative element. For the reception, a custom, airy white curtain drape adorned the perimeter of the venue with soft twinkling lights strung across the ceiling to provide a subtle ambiance. The curtains were gently pulled back from the French doors that revealed the scenery of the beach, providing the room with natural light. in Newport, where Savanna works as an executive director for a non-profit organization and Matthew as a CIO for the town of Middletown.